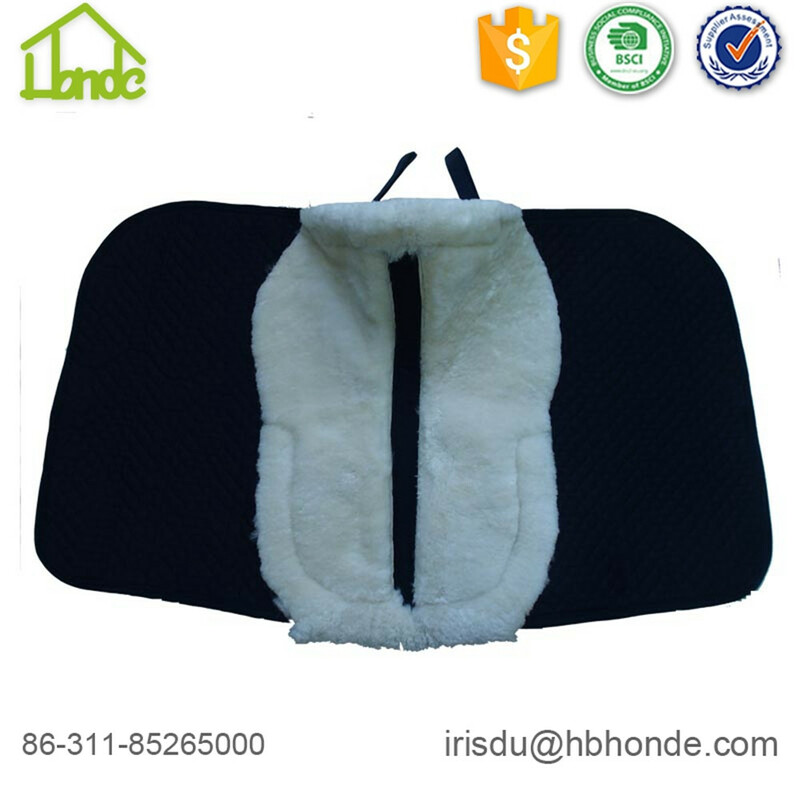 Genuine Sheepskin Soft Horse Saddle pad is suitable for your horses. Fabric color and pattern, lining shape, all these can be customized. 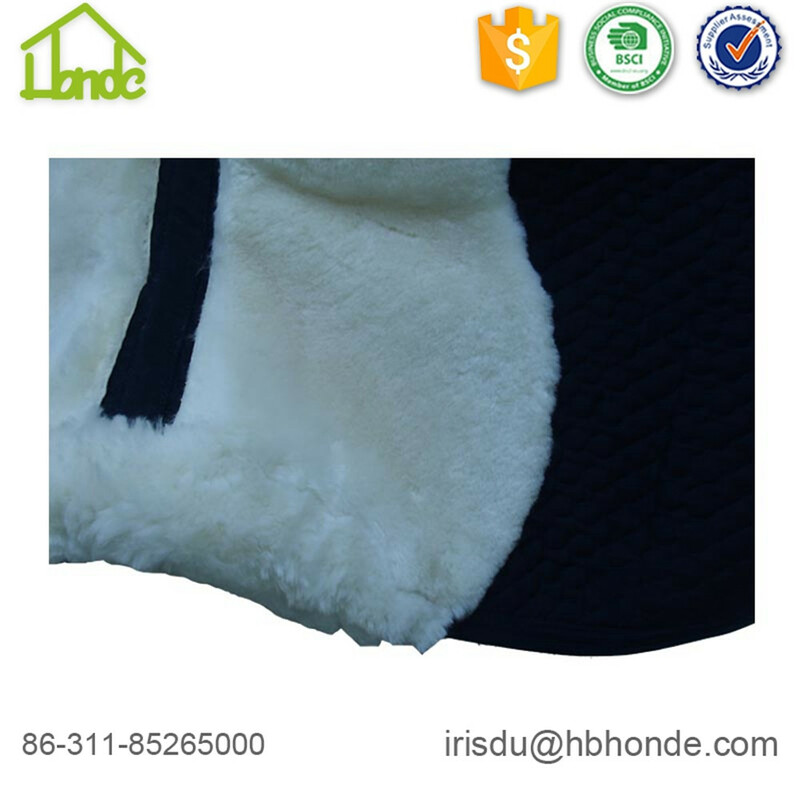 The sheepskin liner inside, you can have groove in the middle or not. It's up to you. We can embroider your logo on the saddle pad. If you want to be special, you can make decoration on the edge. 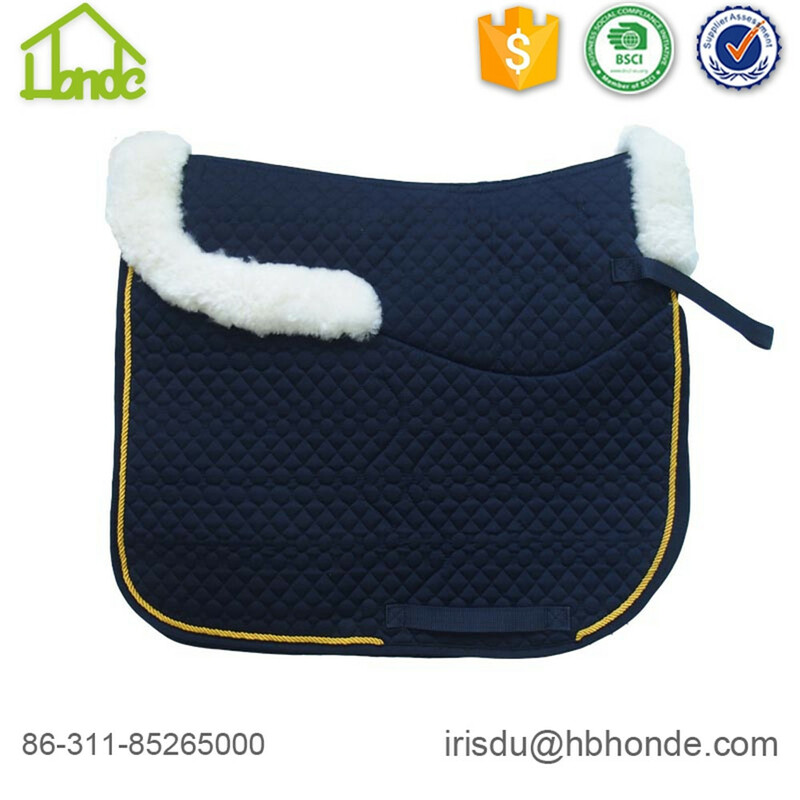 For instance, adding beatiful piping or crystal on saddle pad or any other methods to make you stand out. 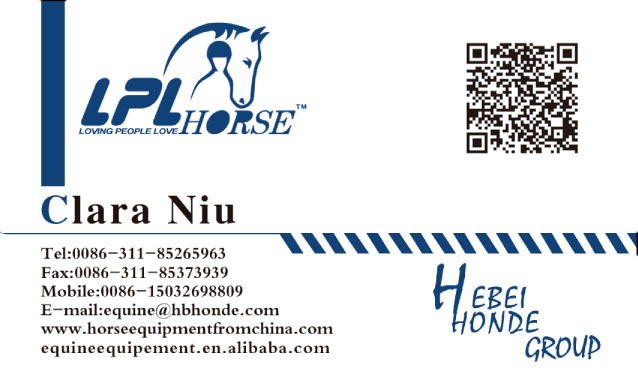 Spoga exhibition is a professional Horse Products show. There are many producers coming to the show and display their products. It`s also a gathering for long term cooperative partners to meet with each other for further negotiation. We usually participate international exhibition every year. Our boss fly all over the world, so we are convenient to pay a visit to you to talk about more products or cooperative strategies. 1. Except for Dressage Saddle Pad, what style can you produce? 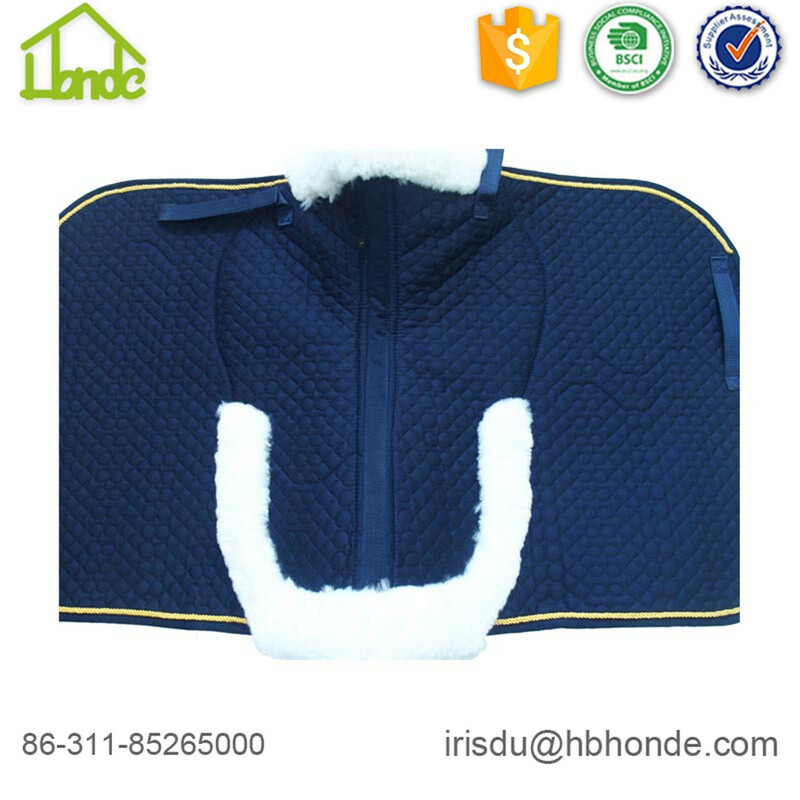 We can also make Jumping Saddle Pad, all purpose saddle pad, Western Saddle Pad, Sheepskin Saddle Pad etc. We also support your customized design. You offer me sketch or send me a sample. I will produce for you. 2. What color can you provide? We usually have black, white, dark blue, purple, green, pink, orange. You can also have direct color if you can reach 200pcs. 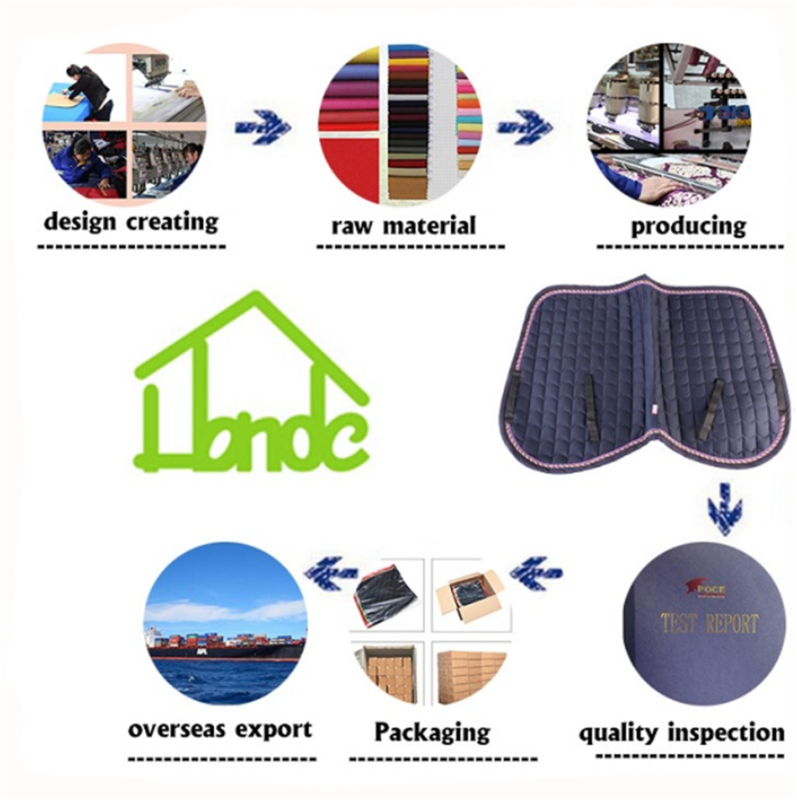 Looking for ideal Soft Horse Saddle Pad Manufacturer & supplier ? We have a wide selection at great prices to help you get creative. 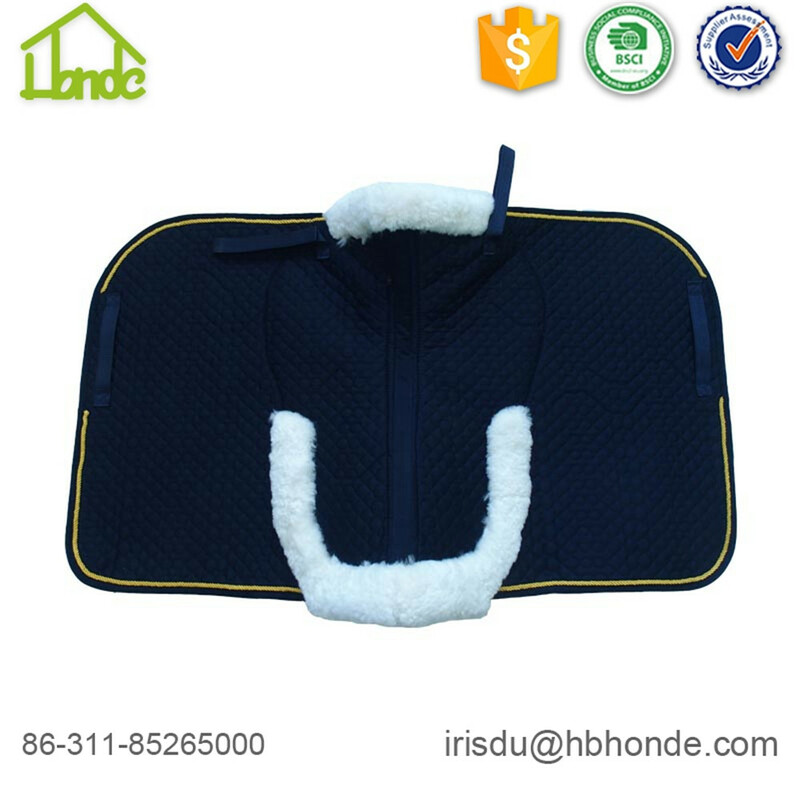 All the Sheepskin Soft Horse Saddle Pad are quality guaranteed. 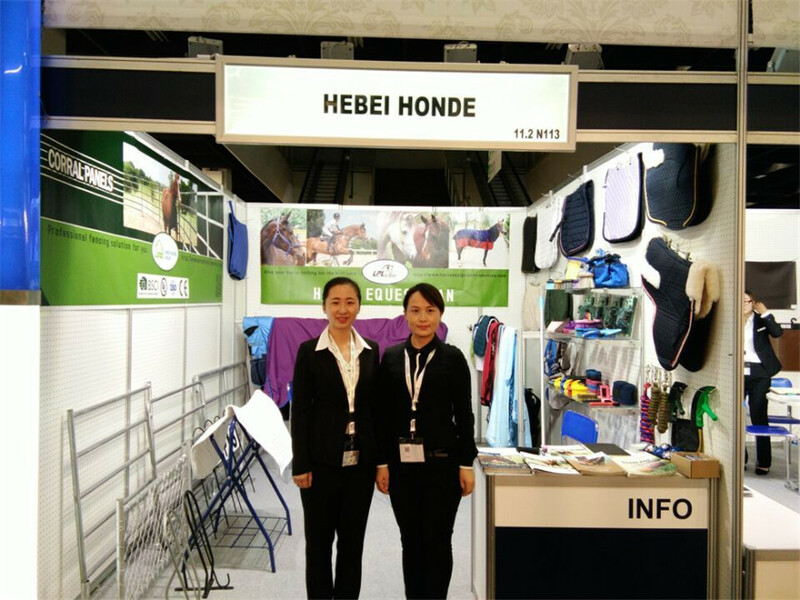 We are China Origin Factory of Genuine Sheepskin Horse Saddle Pad. If you have any question, please feel free to contact us.